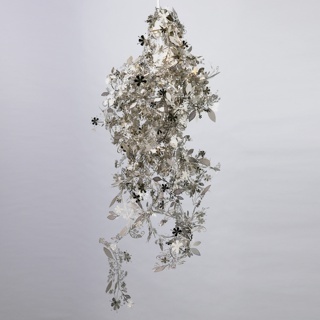 See more objects with the tag interior, decoration, display, symmetry, branches, delicate, cascade, elegant, levels, balance. See more objects with the color silver lightslategrey dimgrey darkslategrey slategrey or see all the colors for this object. 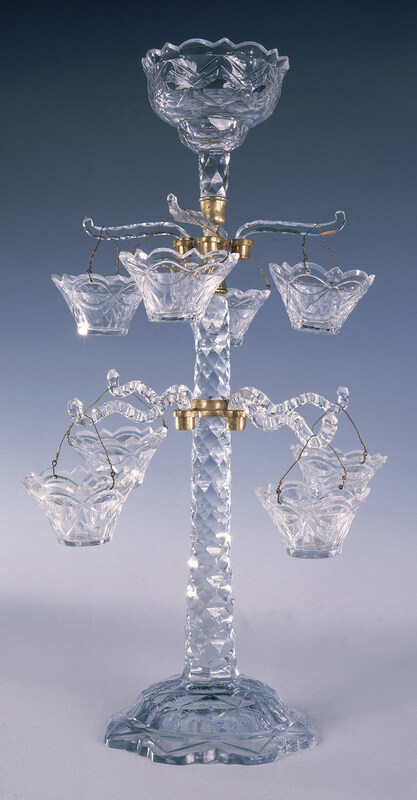 This is a Epergne. It is dated 18th century and we acquired it in 1986. Its medium is glass, brass, metal. It is a part of the Product Design and Decorative Arts department. This object was bequest of Walter Phelps Warren. It is credited Bequest of Walter Phelps Warren. silver-plated photographically etched stainless steel.